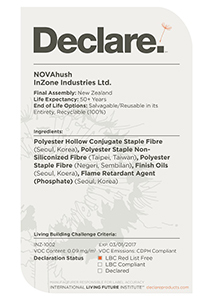 NOVAhush Bafflestack insulation is made in New Zealand from 100% lofted, thermally bonded polyester fibre. 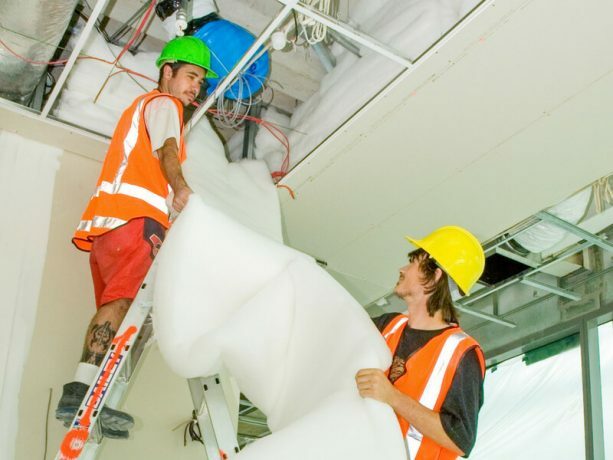 It is designed for use in the ceiling cavity to reduce sound transmission over the ceiling path. In high rise buildings and offices, NOVAhush Bafflestacks are commonly used over 63mm and 89mm stud fit outs with acoustic infill, with or without resilient rails and compressed. Using NOVAhush Bafflestack will reduce sound intensity at all frequencies. NOVAhush Baffles reduce the need for any constructed cavity walls within a building. 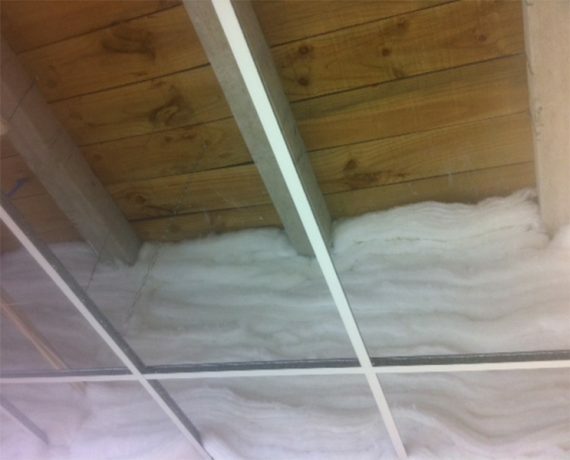 NOVAhush Bafflestack blanket is laid over existing services in the ceiling cavity. Can be used in a single or double stack (see install instructions). Contains recycled polyester fibres made from plastic bottles. Mammoth is safe and easy to work with. It will not cause irritation when torn to length or cut with shears.